January 2016 – He Said What?! It hasn’t just involved Aaron, though. Yet he certainly does take center stage in our lives. All the above descriptive words certainly can, and do, apply to him. I’m reminded of our bad beginning to our week now every time I walk into his room and see this. “This” being the place on his wall where a picture similar to the one hanging USED to hang. 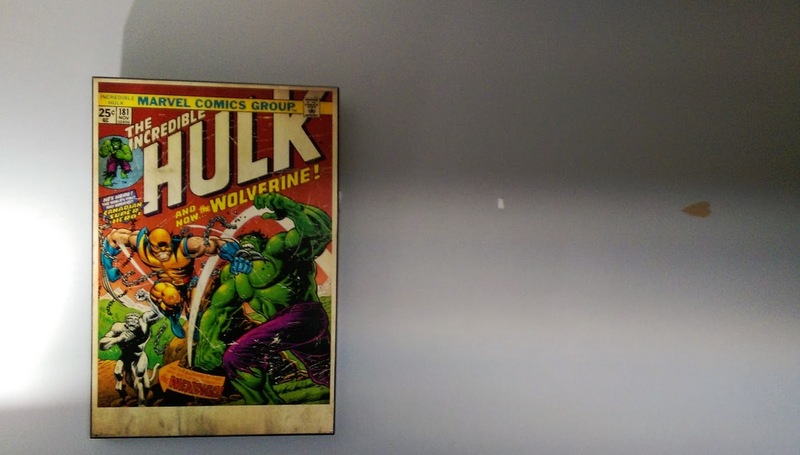 Used to hang before he yanked it off the wall in a fit of anger on Tuesday….after fits of anger on Monday. Anyway, read my last blog, like I said. It explains more about what happened. Now we’re left with the ugly reminder there on his wall. 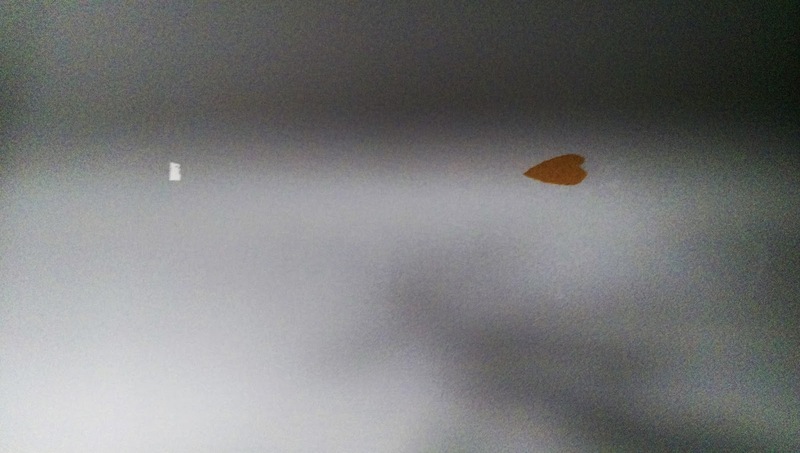 A reminder of a bad day….of hurt….of anger….of events that led up to this ugly scene and this ugly spot on his wall. It would be easy to see this scar and to focus on the bad things that happened that day. It would be easy to see this scar and to remember the awful feelings….the frustration….the anger…..the failures. Both mine and Aaron’s, for sure. However, there are other parts to this whole story, too. There are other pictures that I can choose to focus upon if I just will. And there it is. It’s a matter of my will, of my choosing, as always. I can choose to only conjure up the depressing thoughts of those two days, and of this past week generally, or I can instead choose to ponder also on the bright spots. On Monday evening, after Aaron’s really bad day, he suddenly asked if he could write our friend Atha a note. He knows Atha, and he has heard us talking about her stroke. Aaron rarely offers on his own to write anything to anyone, unless it’s what he wanted to write on a sticky note about me on Monday. It wasn’t nice, either. So this idea of his to send Atha a get-well note in his own words was just a very special, unexpected warm moment in the midst of a terrible time for him and for us. That made it a double blessing. A very needed blessing, double at that!! I can look at the scar on Aaron’s wall and I can remember this precious note. Also to be remembered are the prayers of friends and family….the kindness shown when aware of our need….the time spent with friends and the encouragement of warm hugs. There was Julie, an employee at our Dillon’s, who asked me out of the blue if I needed any more one dollar bills for Aaron. It’s not easy to get the ones when I need them, and I had forgotten in my stress that I was running low, but Julie saw me and asked me….said she thought I might be running low….said she was looking out for me. She has no idea, though I told her a little, of how much that meant to me this week. The scar on Aaron’s wall can remind me of all those blessings. 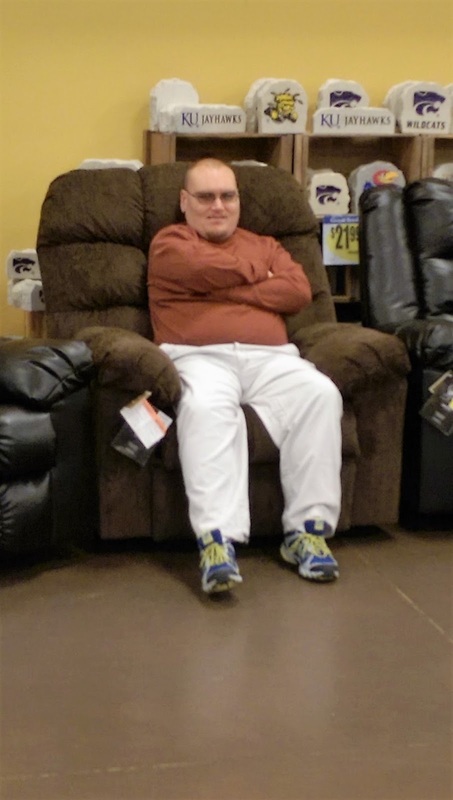 And there is the recliner at Dillon’s – two recliners, actually – that Aaron sat in the first time he saw them. They were something new. Something fun! But probably not something that Dillon’s wants everyone to sit in and enjoy like Aaron does. J So the next time we saw them, in front of the registers, each chair held a huge stuffed animal. I laughed and told Aaron that now he couldn’t sit in them since they were already occupied. I figured that Dillon’s had a motive for putting those animals there. On Friday, Aaron and I were there after I picked him up from Paradigm. We were ordering him his favorite Cheddar Pasta Salad when suddenly he took off walking briskly toward something. I thought he was headed to the Chinese side of the deli. He LOVES looking at the Chinese food, and having the workers ask him what he wants while he laughs and says he’s just looking. Every time. But on Friday, when I looked up to see him walking away, I soon saw where he was headed. Yep. He spied the recliner, moved to a new spot in the store. The empty recliner….but not for long. Look at his smile. How could I not smile? I see the scar on Aaron’s wall and I see the choice I have to make. Aaron knows he did wrong and he knows he must wait for the wall to be repaired. I don’t need to keep hammering that home to him. But there are some issues that sometimes need hammering into my brain as I look at his scar. What will I allow that scar to teach me? What will I allow that scar to do to my heart and to my spirit? Will I use that scar to remind me of the bad, or will I use that scar to let me remember the blessings in the midst of pain and the lessons learned in the hard times? We all have them, those ugly scars of life. We can wallow in anger and unforgiveness….regret and guilt…..pain and sadness. Or we can choose to do what God said and forget those things that are behind, and press forward. I know we can’t really forget, but we can forget in the sense of clinging on to them and letting the defeating thoughts control us. What’s done is done. Let God handle it as you pray and trust. And as you forgive those that have hurt you, whether they know it or not. Like Gary said on Monday night, our relationship with Aaron is much like God’s relationship with us. It’s one of constant sin on my part and constant forgiveness on God’s part. How can I do less? I want my scars to be touch points for memories of God’s grace in my life, and then for me to extend that grace to others…..including….especially!….Aaron. I shouldn’t have let Aaron go to his day group on Monday. His mood was pretty foul at home, but he wanted to go and so I let him. He only wanted to go because he knows that having a special meal on Friday night depends on him going to Paradigm every day. Funny how these rewards can come back to bite me. He was pleasant on the drive across town. But the way he slammed the van door when he got out was a sign to me that it might be a rough day. And it was. I knew when I got the phone call from Paradigm that afternoon, and Barb said a quick hello before putting her phone on speaker. That’s usually what she does when she wants Aaron to also talk, and wants him to hear me. Aaron was yelling, very upset and belligerent. It had been a no good, very bad day…..and was soon to get even worse. At this point, Aaron didn’t want to ride home with his driver. Last August, we hired an agency to bring Aaron home from Paradigm in the afternoons. Aaron likes going from point A to point B, with no stops in between. But the route includes other clients that go home before him, so this had become a trigger for Aaron. On his no good, very bad day….Monday….he did NOT want to ride anywhere but home. Once Aaron is upset…really upset….he’s like a volcano that must erupt until the flow of anger is over. His autism prevents him from calming easily. It prevents him from listening to reason or being reasonable. He has very few filters, so words fly when he erupts, and some are inappropriate. He decided on Monday to go ahead and ride home with the driver, knowing that he really had no other choice. But he promptly told her to shut up when he got in the car, and he refused to put on his seat belt. The whole way. Not good….not good at all. Shortly after he got home, upset still but calming some, my phone rang. It was the agency that provides his rides home, telling me that they were very sorry but that Aaron would no longer be allowed to ride with them. I understood, but I tried to do some explaining and then I asked for a second chance….but two days later was told there was no second chance. Good luck with finding a new driver….it’s been nice working with you…. Back to Monday. After the phone call, Aaron looked stricken. He decided to try to rectify things by offering to help cut the ends off the asparagus I was fixing for supper. I let him. And during supper, out of the blue, he asked if he could write a get well note to our friend, Atha. She’s been very sick and is in a rehab center. I got him a note card and he wrote her his succinct get well wishes. They were words of gold to me that night. I think they will be for Atha as well. Later, though, as Gary and I tried to absorb the events of Aaron’s day – especially the loss of his ride home, which is huge – things went downhill fast. Aaron ended up realizing that we were trying to bring up the recurring subject of him moving out one day….living in a residential setting. “You could live with some friends, Aaron!” we said. “I DON’T WANT TO LIVE WITH FRIENDS! !” he yelled. And he stormed up the stairs as he told us how much he hated us. But within seconds he was stomping back down the stairs, sitting in the recliner and rocking furiously. “You just want me to leave!” he said, with tears coming down his face. We tried to explain….tried once again to reason with him. It doesn’t work. “Aaron, Rosa lives with her friends and comes home on weekends. And Shauna, and Natalie….”we told him. “I DON’T CARE ABOUT ROSA OR SHAUNA OR NATALIE! !” he again yelled…..and again stormed up the stairs. This went on for a long time, until finally he….and we….were spent and there was nothing else to say. Tuesday was a better day at his day group, for the most part. I drove to Paradigm in the afternoon to pick him up, fighting my frustration. It didn’t help me at all to see and hear Aaron being rude to another client. I was distant and silent as we started the drive home, finally responding some to Aaron but being rather cold. That wasn’t a good choice for me to make. So I said the words that always reach his heart. Without even a pause he quickly said yes, and so we got in the van and got his slushie. I parked in the Dillon’s parking lot, away from others, and he slurped while I talked. He calmed and I tried to explain things, knowing full well that Aaron doesn’t relate to most of our explaining sessions. Finally I was done. There was quietness before Aaron spoke again. He didn’t notice my deep sigh or the shaking of my head. Oh, if only Aaron could convey to us his hurt and his anger with reasoning words instead of hard and hurtful words! Or curse words. Or just totally ignoring the situation and talking about aliens. Aaron often doesn’t even know why he’s frustrated. He just is on some days. As he escalates, so do others around him, and that only further compounds the issues. I reacted with ‘iknorin’ him on some of the drive home, which I really shouldn’t have done, so he reacted. Did he ever! But he was afraid that I didn’t love him anymore. He’s terrified of losing my love, but he can’t verbalize that. So he reacts with anything that comes to his mind that demonstrates his deep fear and hurt. That usually means that he breaks something, like his watch or his glasses or his picture on the wall or the dollar bill. Why am I telling you all of this ugliness? I’m sitting here listening to Aaron’s monitor….listening for another seizure which may come. He had a long seizure at 5:30 this morning, and only one seizure means that usually more will follow during the day. He’s napping in his room and I’m on alert as I go about my day. I tell you the ugliness of his behaviors because really, those behaviors hold him down more in life than do his seizures. It’s a raw, hard reality for many parents of special needs children. Those sudden, awful, interrupting, exhausting behaviors. I can explain seizures. Other parents can explain various visible special needs of their children, or even special needs not seen but understood. But behaviors? So frustrating….so embarrassing…..so condemning for both child and parent. But we need those behaviors to be understood as well. And we as parents need to always work to understand them, too, especially in the heat of the moment. I thought that Gary had something cool to show Aaron, so I looked around the corner of the kitchen to see what it was. And as Aaron walked toward his dad, Gary held his arm out and gave Aaron a hug. Aaron even responded! I blinked back the tears. Sometimes it’s hard to love Aaron, honestly, but we must….and we do. I was very thankful for that sweet picture that ended our second no good, very bad day with Aaron. One more thing. I went inside Paradigm yesterday when I went to pick up Aaron. What a lifter-upper that was!! 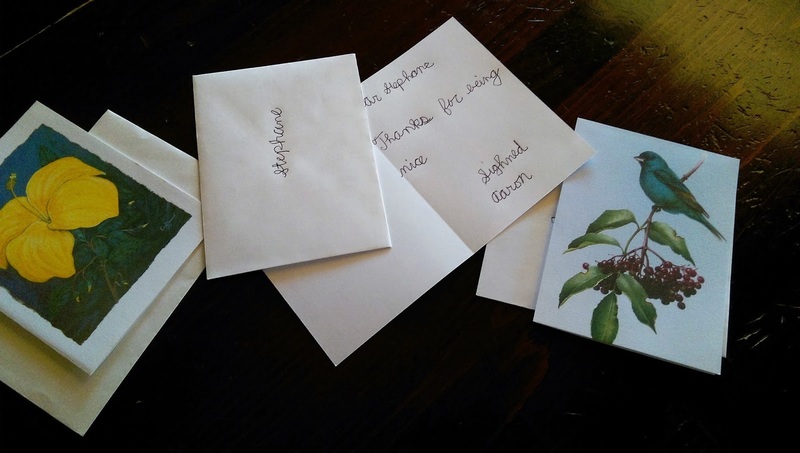 Those wonderful clients, with so many needs, have so much love to give….even on or after the bad days. Love for me and more importantly, love for Aaron. We could hardly leave for all the hugs and talking and smiling. Every day is a new day, as Barb says. A fresh new start. Listening to all the stories of the huge winter storm back east brings back some memories of a couple interesting winter storms that our family experienced several years ago. We endured two vicious storms, back to back, but in different states and in different ways…..neither of which any of us care to experience again. It was December of 2004. We had made a change of plans for our Christmas. Dad had just been diagnosed with liver cancer the month before, so we decided to make a trip home to Princeton, West Virginia for the holiday. We should have known it was going to be a strange trip because of what happened the evening before we left. It was late in the afternoon and Gary was in our driveway, getting the topper put on our van. Suddenly a dilapidated old car zoomed into our driveway and screeched to a halt. Immediately there were probably 6 police and sheriff cars that surrounded our driveway and the front of our house. The officers jumped out and were all over that old car in nothing flat. Gary eased back into the garage and came in the house. We all watched from the windows as two or three people were taken from the car, frisked, handcuffed…..the whole nine yards, just like on television. Except this was in OUR driveway! In the meantime, our neighbors all around were wondering what on earth was going on over at the Moore’s house. Several tried to walk up and question the officers, but were bluntly told to leave and go home! This made them even more curious and worried, of course. We were in the house still wondering what was going on outside. We were also fielding phone calls from neighbors as well as struggling to keep Aaron in the house. He wanted nothing more than to barge outside and find out exactly what all the excitement was about. We wanted nothing more than for him to settle down and to NOT go outside, where who knows what might have happened. Finally, a police officer came to our door to tell us a little about what was going on. Apparently, for several days the police had been casing this guy’s mobile home about a mile up the road from us. He was a suspect in some sort of drug business. On that day, when he left his home, he soon realized that he was being followed. He turned into our neighborhood in an effort to lose the police. But our circle has no outlet, and when he realized that he was trapped, he pulled into our driveway and gave up. We had to wait for the culprits to be taken away and for the car to be impounded before we could once again work on getting the van packed and ready. It made for a long evening. And Aaron was very disappointed that he never got to go outside and personally be a part of all that huge excitement! We climbed in the van very early that next morning in the bitter cold. Facing a 16 hour trip – at least – was not much fun for any of us. Our teenaged kids especially didn’t enjoy the very long drive. Little did any of us know what was ahead. First of all, the van wouldn’t start. Could anything else go wrong, we thought? Like I said, little did we know. Gary and Andrew jumped the battery, and off we headed, praying that the van held up on our long trip. Things went well for quite a few hours, but as we got closer to Kentucky we started noticing that cars headed in the other direction had snow on them. The more time that went by, and the more vehicles that went by in the other lanes of the interstate, confirmed to us that we were headed into snow. And soon it was not only snowing, but there was ice and there were strong winds. We were in the thick of it in Kentucky when we eventually came to a complete stop on I-24. As far as we could see in front of us, and as far as we could see behind us, there was nothing but huge trucks and many cars. No one was moving, not even an inch. Eventually, people started getting out to walk around….to talk to other drivers and families….to see if anyone knew what was going on. But as the weather worsened, most people just stayed inside their vehicles and hunkered down. We waited, and waited, and waited…..for 10 hours! Gary would turn the van on for short periods in order to warm us up some. Thankfully, we had food and water and blankets. The guys were able to go outside to use the bathroom, but Andrea and I kindly declined their offer to hold up blankets to hide us….in the snow…and the ice…on the sloping bank outside the van. We joked about all that, and during that long night when all we heard was the pinging of snow and ice on the van, we would hear Aaron’s deep chuckle in the back seat, from under a blanket. He thought the bathroom business was pretty funny. And of all things, he handled the whole miserable experience very well. We were amazed at that! And thankful! Traffic finally started moving again, very slowly at first. There were cars and trucks off the interstate all over the place, stuck in the snow and ice. It was a terrible mess. Gary got off at the first exit he could find. We were so thankful to see a gas station and convenience store. So were many other ladies who probably waited like Andrea and I did. We were all hurrying as fast as the snow and ice would allow us to get inside and stand in the bathroom line. Our normally 16 hour trip to West Virginia took us around 30 hours! We still had a sweet time with family before soon heading back to Kansas. We had only been home in Wichita for several days when word of another winter storm came on the news. 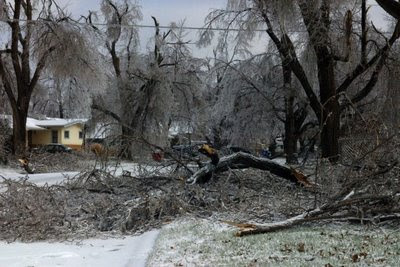 This storm was set to hit Wichita with some ice, but no one had any idea just how all the elements would come together to create a monster ice storm. 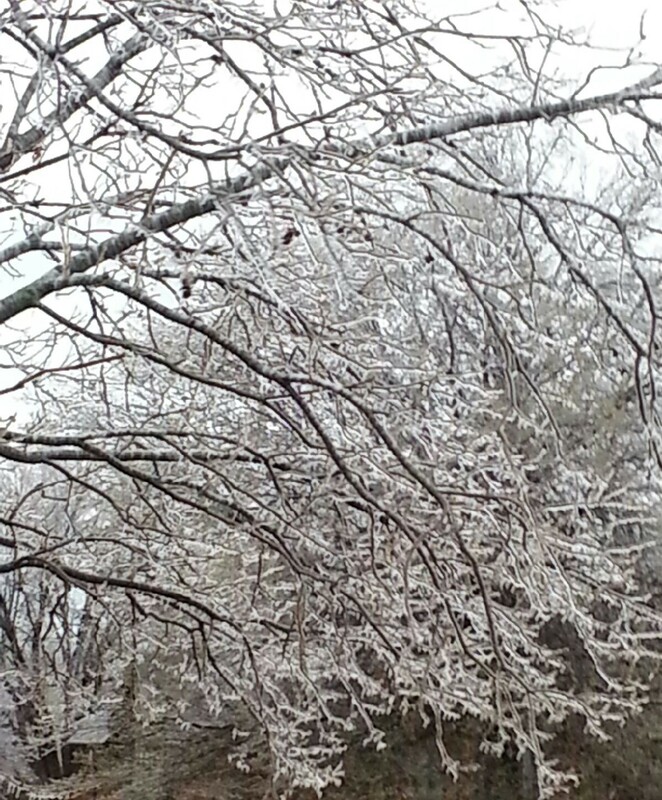 Ice fell from the early afternoon of January 4 to the afternoon of the next day. You could stand on our porch and hear the sharp crack of branches falling from the trees, and the clink of limbs hitting each other in the wind. We laughed, but we certainly understood how he felt. We had all about had it with awful winter weather! Our power was off for five days. Thankfully, we had hot water. We cooked on our kerosene camp stove, we had lanterns, and life wasn’t all that bad. We played games and read books, and actually enjoyed some great family time together. Some friends had come over to hook us up to a generator on that fifth night. Just when they were finishing, our power came back on. I actually felt bad for all the work they had done only for us not to need the generator. But oh, when those lights came on and the heat started up, we were very happy indoor campers indeed! We really had lots to be thankful for in the midst of all the craziness of those two weeks. We had a safe trip in the dangerous weather, time with family in West Virginia, safety in the ice storm, food to eat, warm clothes and lots of blankets, hot water, indoor bathrooms at home in the ice storm J, Aaron did well, and so much more. And oh yes, none of us got arrested!! I won’t tell you how close we came a time or two. Author hesaidwhatksPosted on January 24, 2016 February 28, 2016 Categories Family, Ice Storm, Snow Storm, Travel, WinterLeave a comment on The WORST Two Weeks! Then I heard words like echocardiogram….stress test…..enzyme levels……blood work…. Possible this and possible that. I was calm, because I just am that way, usually. And because she wants me to be that way. We’ve faced the unknown before with her, and here it is again, lurking like an unwanted intruder in the background. Actually, red flags were raised after her double pneumonia last July when symptoms and tests weren’t adding up just right. Doctor visits, multiple tests, many vials of blood…..then a rheumotologist…..now a cardiologist. An answer would be nice. I think. But all she has right now are positive results….negative results….symptoms….and no sure diagnosis. So that leaves us with still more questions than answers. Leaves her juggling a demanding genetics job with multiple doctor and testing appointments. Leaves me with a choice to make as I feel those icy fingers of fear around my heart. I remember being a little girl at Knob Elementary School. Every Friday, one of us King kids would get to spend the night with Grandmother and Granddaddy. It was a super wonderful Friday when it was my turn to spend the night with them. I thought the day would never end! Finally, it was time to leave the school! I would run outside and look up the hill. Sure enough, there would stand Granddaddy, waiting for me patiently. Up the hill I would run to his big smile and warm hug. Then he would take my hand and we would walk to their house a few blocks away. 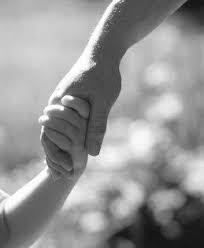 I felt totally safe and secure as we walked along with my little hand held securely in Granddaddy’s big, worn hand. I had no fear…..just total trust. How I need to be that way now with God! God, Who takes hold of my right hand and speaks to me as a child. He promises that to my girl, too, in a way that even I as her mother cannot do. My words of comfort sometimes ring hollow compared to those of our God. “Do not fear. I will help you,” he says. All around me are friends and family who are going through deep valleys. Doctors, tests, dismal scenarios, dark diagnoses, uncertainty. Exhaustion, worry, fear, guilt…..
Steve, our age, recovering from a sudden major stroke. Atha, in the hospital and now rehab for nearly a month. Scott, her husband, going through testing. Nicholas, with ongoing life threatening infection and other issues. A father and son, both with serious cancer. So many others with cancer. Parents with the daily heartbreak of children who have strayed from God’s way and are making bad, life changing decisions. I could go on and on. But like my friend said, God’s message is often personal. Just for me, and for my Andrea, and for all of you who are struggling right now. “Do not fear,” again God says. No matter what happens, God tells me not to fear. I don’t need to fear, because He is holding my right hand. He is leading me. He is leading you. He loves us and He desires our best, even if we must walk through the painful times. “I will help you,” He continues. No. He said He would be there to hold my hand and to help me. I don’t know in what form that help will come, but I do know that He has promised it. He is right beside me. He can’t be far away and be holding my hand. He is near. The battle is the Lord’s, and the battle is won through prayer. I talked and talked to Granddaddy as we walked along after school, telling him about my day. God wants me to do the same as we walk along, my hand in His. He wants me to talk to him with familiarity and with the certainty that He loves me…..He desires my best…..He desires my daughter’s best…..He will be with both of us. He will be with you, too. Take His hand. Trust Him to be right there, helping you every step of your uncertain way. What better words can I impart to my daughter than these? What better words can I take to heart myself? I’m letting God take my hand today. I hope you are, too. 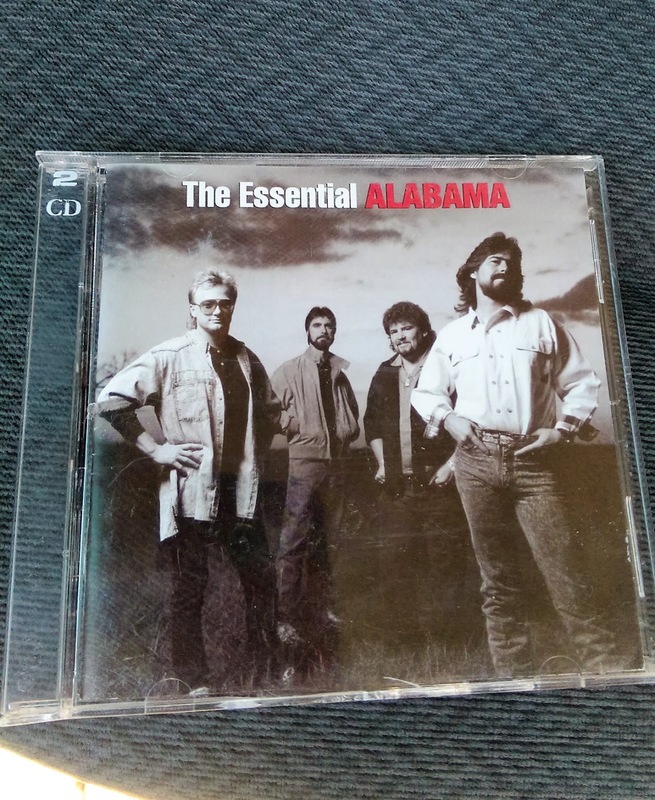 Aaron loves the group, Alabama, so last night it was his CD of choice as we drove to pick up a pizza….and breadsticks! That made Aaron extra happy! When we listen to a CD, Aaron follows along with the names of the songs by picking up the CD box each time a new song begins. Number 1….and he’s looking for the song title on the back of the CD box. Song number 2 begins, and he grabs the box again to locate the correct title once more…..and so it goes for as long as the CD is playing. Whichever song is playing when we get home and get out of the van is the one that will be in Aaron’s head for hours, and sometimes days. Last night it was one of our favorites….High Cotton. But Aaron will pick a few words and say, or sing, them over and over and over and over until I just think I might pop! With exasperation! Last night I heard “hiiiigggghhhhh cotton” way, way, way too many times. That’s how Alabama ends the song, by the way…..holding out the word “high”…so Aaron totally was into that for the whole evening, including belting it out in his shower. And while he was on his computer. During our game of SkipBo. And even whispering it in bed as he tried to go to sleep. Whispering it because Mom has told him not to be loud since I have the monitor on listening for seizures. I’m listening for seizures, I tell him, and am not in the mood for singing at 11:00 p.m.
“Not if I hear anymore “hiiiigggghhhhh cotton!!! !” I try to reply quietly but with emphasis. I’ve had it with Alabama and cotton, high or not!! 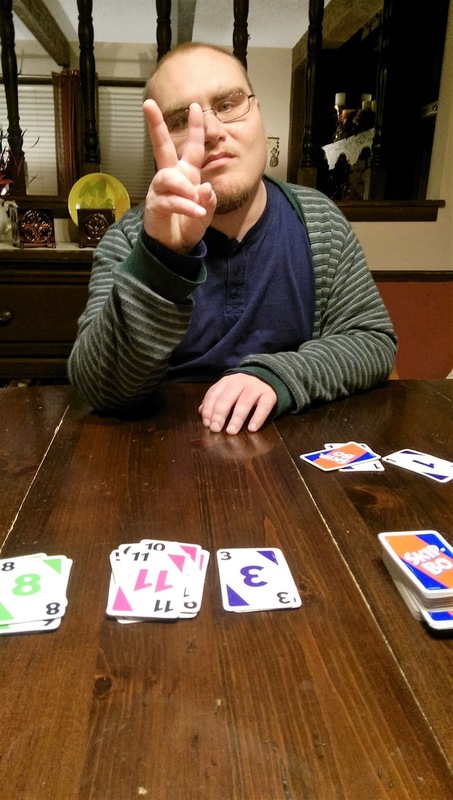 But I did have to laugh last night when Aaron came down to play SkipBo. And he waited for me to ask, so I know to just go ahead and do so because he’ll either wait forever or he’ll repeat the question. “What did you notice, Aaron?” I asked. “Well, I noticed that it seems like Alabama sings south songs,” he informed me. Aaahhhh, yes. South songs. Of course. It got even better this morning, first thing. Aaron walked in the kitchen and took up where he had left off the night before. “I noticed they look like south men,” he told me. I couldn’t get Aaron to expound on this subject further, but if he does I’ll let you know. In the meantime, here’s the CD cover picture of Alabama. Otherwise known as South Men. Author hesaidwhatksPosted on January 18, 2016 February 28, 2016 Categories Adult Autism, Alabama, Asperger's Syndrome, Humor, Singing, Special Needs Adults1 Comment on High Cotton! Aaron has had a mostly good week, which means that there were ups and downs as always. His recent staph infection returned, so I took him to the doctor on Monday. Now he’s on another round of antibiotics, which isn’t what we like but it’s what he must do. Tuesday was a very happy day, but Wednesday was not a good day at his day group. Barb called me, put the phone on speaker, and I could definitely hear the frustration in Aaron’s voice. We all wish we knew what leads him, in his mind, to the point of no return where he simply reacts without thought of the consequences. He was exhausted that night, so on Thursday morning I just let him sleep. He slept for almost twelve hours, waking up too late for me to get him to Paradigm and also make it to an appointment that morning that I had. So later that day we enjoyed some down time together. I took him to Great Clips for a haircut, which you know he loves, and to Dillons for another favorite….a Cheddar Pasta Salad for lunch. We took Jackson for a walk in the beautiful warm weather, too. 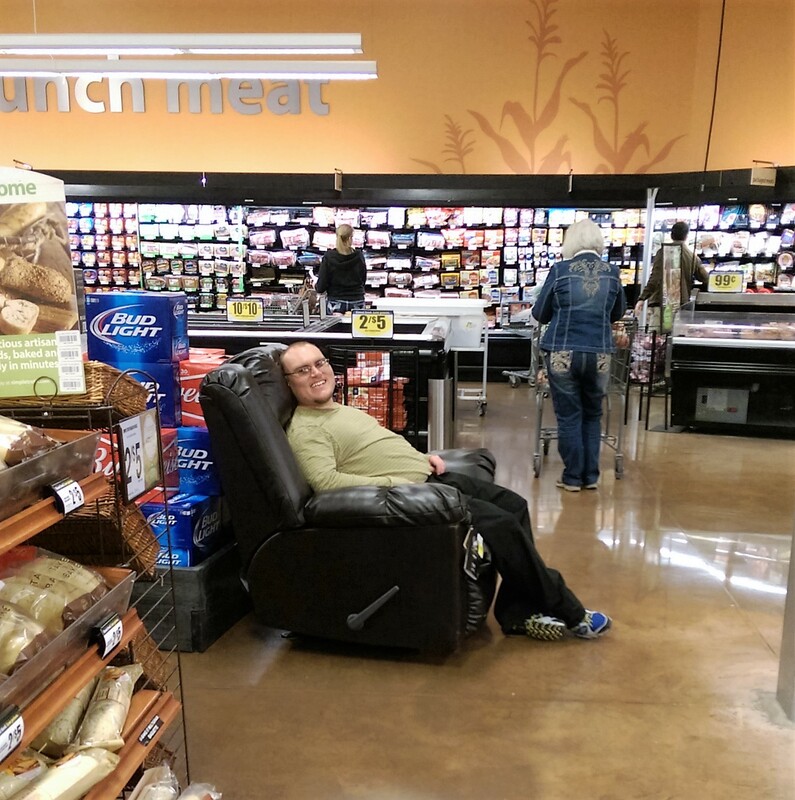 Of course Aaron found the new chairs at Dillons and had to try one out! Aaron was in a reflective mood on Thursday, which he often is after a rough day. He was in a giving mood as well, wanting to buy some items at the store for his friends. I try to steer him to smaller things, like pieces of gum, instead of large items. 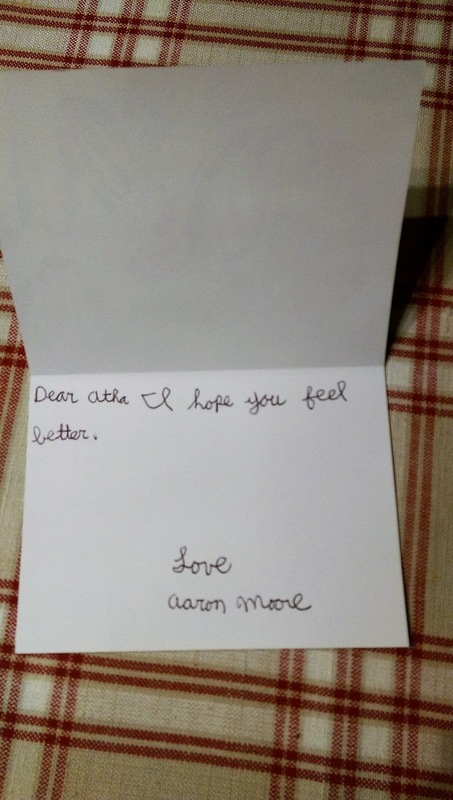 As we talked later that day, Aaron told me that he wanted to write a note to three of his friends who were very good to him when he was so angry the day before. He’s never wanted to write a note for such an occasion that I can remember. I think he had this idea because he had just written two thank you notes for some Christmas gifts. I gave him some note cards that I had and he proceeded to write his notes of thanks. They were short and sweet, which is all that Aaron sees as being necessary. It’s the sweet part that I love, and the fact that he thought of this all on his own was extra special. Don’t you love how he signs his name? Years ago when we told him to sign his name on a note, he did just that. Except look at the way he spells “signed.” He combines the word “sigh” and “sign.” I think that’s pretty awesome. He took the cards with him the next morning, slipping them under his jacket as he got out of the van at Paradigm. I could tell he might be embarrassed about them. Sure enough, when I asked him after he got home if he gave the girls his notes, he looked sheepish. Apparently, he chickened out and left the notes on Barb’s desk. I don’t know if he’ll get the nerve to give the notes to them or not. I’ll gently encourage him to do that over the weekend, but I don’t know if he will. Some victories with Aaron are partial, or come in pieces that are spread apart. But a victory is a victory. 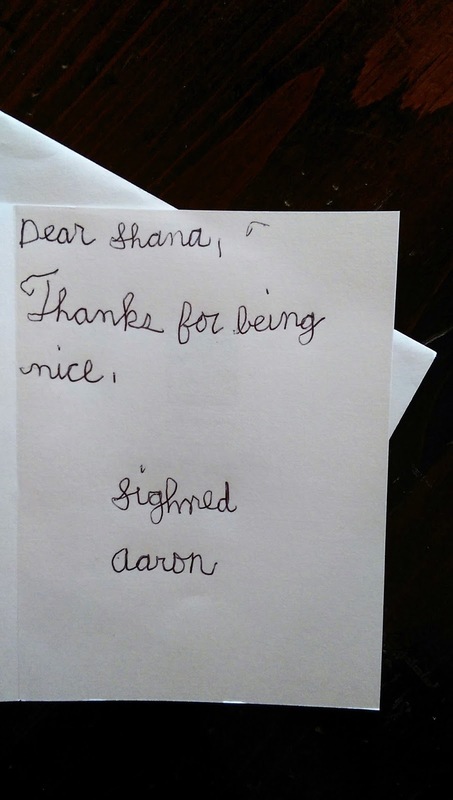 To see Aaron showing thankfulness and then expressing it in writing, on his own, is a huge victory. The winning moment may not come in the actual giving of the cards, at least not this time. It’s his written heart that warmed mine. I’ve written in the past about how much it means to me when someone “gets” Aaron. You know what I mean. It’s when a person out somewhere in a public setting reacts to Aaron in a way that makes me know they totally understand him. Or at least partially understand him. I don’t know that even Gary and I on some days totally “get” Aaron. This past Friday night was an example of both. Aaron and I went to Subway to get our special Friday supper, as per Aaron’s request. One of the girls who began with our order was very nice, but I could tell that she was nervous with Aaron. She was unsure of what to say to him, and very unsure of what he was saying to her as he robustly placed his order. “Can I have a sub?” he bellowed, with me standing close by patting his arm in an effort to soften his tone. “And can I have extra cheese?” he continued bellowing. “My Mom says I can’t have extra cheese!” he rambled on as she was just saying that he COULD have extra cheese, and so she glanced nervously at me. I told her to go ahead with the cheese, which caused Aaron to bend over and rub his hands together as he laughed in delight…..which caused her to attempt an uncertain smile as she placed the extra cheese on the meat, all under Aaron’s watchful eye. I wanted to tell her that it was OK….that Aaron was loud but harmless…..but I didn’t do that with Aaron standing right there. I just hoped my smile would convey to her what I was thinking. Just then, the manager appeared and began helping with our order. I remembered her and she remembered Aaron. This girl’s mother worked with special needs and so she grew up around other Aarons. Therefore, she was very relaxed and affirming toward Aaron. “What you need, Buddy?” she asked Aaron as she waited for him to complete his order. Nothing he said or did from that point on phased her in the least. I think the other server was as happy for her to take over as I was. Aaron was just very happy to finish his requests, figure out the mayonnaise issue, and watch as his sandwich was wrapped and labeled. Yes, we deal with watching others try to understand our Aaron nearly every day. I wanted to hug the two who were on duty at Papa Murphy’s a couple weeks earlier. They completely engaged Aaron on his level as they made our pizzas. Aaron stood there in total happiness as he loudly talked to them about aliens and spaceships and rubbed his hands together like crazy as they responded to him as if he was talking to them about school or sports. Then there was the young man behind the counter at the theater yesterday, his eyes big with uncertainty as Gary and I both exited the restrooms at the same time. Aaron was talking to him about the Star Wars movie, I think it was, that we had just seen. All I could focus on was the “Would you please rescue me?” look on the boy’s face as he tried to figure out what to do with Aaron. Aaron loves a captive audience, and that boy was just that. He looked it, too, as Aaron talked loudly – of course!- and rubbed his hands together and laughed. We tried to quiet Aaron and lead him away but Aaron had more to say. As we finally left, I laughed and I thanked the shocked young man. I really wanted to walk back to him and say, “You have just encountered the amazing world of autism!” But I knew that Aaron would follow me and pick up his story where he had left off, so I left well enough alone as we walked to the van, Aaron talking all the way…..of course. All of these are mostly “Ha-Ha” funny moments. They may be embarrassing to us at times, or frustrating, but they are not usually awful. Those more disturbing moments happen at his day group and occasionally at home. That was also the case on Friday night. We went from hugs when Aaron came home from his day group to the joy of ordering and eating subs to the downward spiral of Aaron’s cascading emotions. It all started with me realizing that Aaron wasn’t telling me the truth about his rough day at Paradigm. I made an off handed comment that hurt Aaron’s feelings, so after we watched Wheel of Fortune he turned to me and had “that” look on his face and in his eyes. I knew then that he had started down that track of frustration. Time proved that evening that Aaron wasn’t going to be easily derailed. His emotions were in a turmoil, as were ours. Yet if we escalated, it would only serve to further escalate Aaron, which is the last thing that needed to happen. He escalates very well on his own, thank you. Gary and I tried to exercise firmness with calmness. Just when we hoped that Aaron had calmed, though, we would soon hear his heavy steps coming downstairs to engage us once again in the battle that was going on in his head. He was almost manic in his laughter and in his efforts to unsettle us. It truly is amazing to see, but not amazing in a funny way. It’s the other side of Aaron that we don’t see that often at home anymore. It’s him in a fight to express himself and voice his hurt over his own actions, or over ours. But he simply cannot tell us with calm and rational words what it is that is bothering him. Therefore, he chooses something that he knows will either alarm or frustrate us, and he will go off on it over and over again. Just when we think that our words of great wisdom have reached into Aaron’s head, he starts all over again on that same issue and our heads just bow down in defeat. I sat in Aaron’s bedroom with him late that night. He sat on his bed, legs dangling, trying to express himself and his emotions but clearly unable to do so in the way you and I would. But he was winding down, I could tell. I just needed to wait patiently, listen closely, and pray silently. I literally bowed my head in prayer as Aaron talked. I knew he saw me but he never asked what I was doing. He may have thought Mom was falling asleep. After all, it was after 11:30….way past both our bedtimes! At last he said he was going to bed. I watched as he pulled back his covers and then began arranging his snake, skunk, and frog in perfect order. I wanted to rush over and yank the covers up over Mr. Snake as Aaron worked and worked and worked to turn his lower skinny stuffed body just the right way. But I knew that one wrong move could open up Aaron’s emotions again, so I just stood and wearily watched. Finally all was well with the stuffed animals and the pulled up covers. I asked Aaron if he was reading before he went to sleep. And I knew he had nothing to say. He does this when he wants us to stay with him. He asks, “Guess what?” and then tries hard to think of something to say. “I’m wearing my watch lower,” he said as he pulled his shirt sleeve up. Maybe it was a few centimeters lower, but it sure was hard to see the difference. “I don’t know, Aaron. We’ll just wait and see,” I replied. And at 11:49 I was looking at the back of the original Independence Day movie box and talking about the plasma ray coming down from the spaceship. Oh dear. Would this night ever end? But if finally did, only after Aaron went up and down the steps several times to tell Gary about plasma rays and new Independence Day movie news and to say good night once again. Earlier during the evening, when Aaron was working through his anger, he began feeling badly about his actions. He came to me in the kitchen and had something in his hand he wanted me to take. 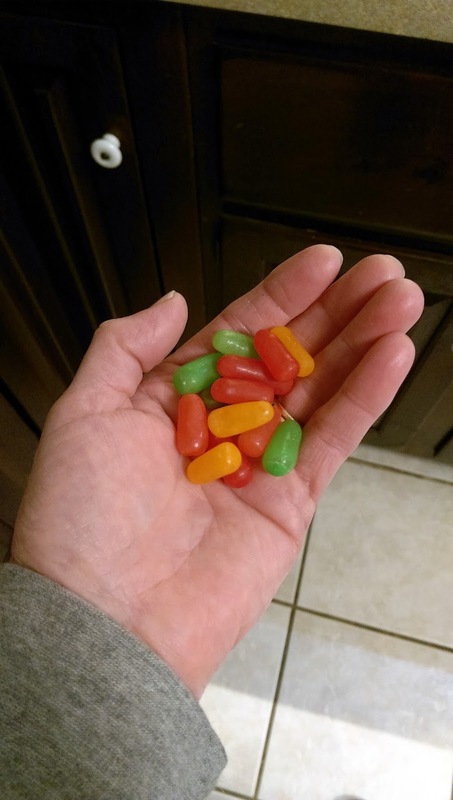 I held out my hand, and Aaron gave me some of his Mike and Ikes. They were sticky and I’m sure covered in multiple germs, but he stood there waiting for me to eat them. So I did, praying silently for God to please strengthen my immune system at that moment. “I wanted to give you these Mike and Ikes since I’m sorry,” he explained as he waited for me to enjoy them. So what could I do but eat them? And what can we do but try our best to do what we hope others will do with Aaron. We appreciate the understanding that strangers show to Aaron. Can we do less? Understanding what makes him tick, what makes him upset, what it is he is really trying to say when he is so upset……this is all part of figuring him out. It’s “getting Aaron.” Not condoning behaviors, which we don’t, but understanding the behaviors as much as a parent of a child with asthma understands an asthma attack. I thought of all this when I was sitting in Aaron’s room with him, watching him come to the end of the fight, and realizing how vital it is that I understand. It means as much to Aaron for us to understand as it does to us for others to understand. Complicated. But so very necessary. We’ll keep trying to understand. And I should keep a box of Mike and Ikes stashed somewhere for good measure.